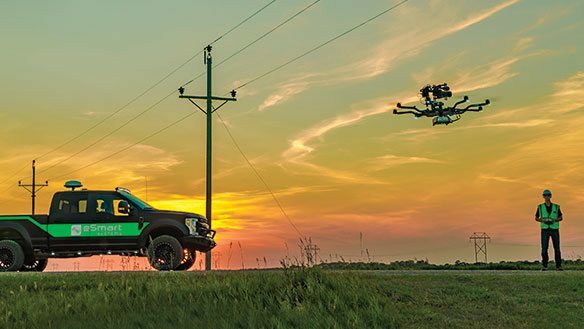 Unmanned aircraft systems (UAS) are a game-changer for utilities, and Border States is at the epicenter of drone technological advancement in the U.S. 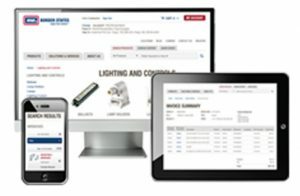 When it comes to inspecting a 1,000-foot stack or examining thousands of miles of pipeline or powerlines, Border States is uniquely positioned – both physically and industrially – to provide utilities with quality data collection and analytics. This drone technology is possible because of a recent partnership between Border States and eSmart Systems. Many of Border States’ operations exist within the Silicon Valley of Drones. It’s an industry nickname bestowed upon North Dakota, largely due to the Center for Unmanned Aircraft Systems Research, Education and Training, which is based in Grand Forks, ND, as part of University of North Dakota Aerospace program. Border States’ Branch Support Center (corporate office) is located in nearby Fargo, ND. Using drones to inspect electric, gas and oil infrastructure is widely expected to make these industries safer and more reliable. Specifically, given the scope of the electric grid – nearly six million miles of distribution and transmission lines in the U.S. – getting full value from the technology is a challenge for utilities. That’s why Border States has invested in drones as a service (DAAS), so we can use specialized software to view, manage and react to key data. Learn more about the age of drones in grid operations.